The more you think about it, the more you like the idea of working in hospitality management. You like working with people. You are hardworking and patient. The average starting salary of a hospitality manager (at $40,000.00) is decent, and there are plenty of opportunities to work your way up the ladder. Besides, being paid to do something you love is only an added bonus, right? Hospitality management seems like the way to go – especially when you consider the perks that go along with it, like job security, free/discounted travel, and performance bonuses. Now the question is: how do you get there? It all stars with earning your degree in hospitality management, but don’t expect to just sit in a classroom for the next four years. You’ll need to put in plenty of hard work. When it comes to earning a degree in hospitality management, the college that you choose to attend is where your career begins and where you receive your first opportunity to make yourself stand out from the crowd. The earlier you get started, the better off you will be! What Is a Hospitality Management Degree? How to Get One? To jump start a career in hospitality management, your first step will be to earn a bachelor’s degree in hospitality management or a closely related subject. While having an associate’s degree will qualify you to work as a travel agent, administrative assistant, or food services manager, you will need to earn your bachelor’s degree for most management positions. In order to enroll in a hospitality management program, you will need to have your high school diploma or GED. More prestigious programs will also require you to have a specific minimum GPA (e.g. 3.0 or higher). Achieving excellent grades in relevant subjects, such as English and math, are considered an asset, while extracurricular activities and jobs, whether voluntary or paid, can be invaluable if you want to be accepted into a well-known program. Things will become even more challenging if you plan to move into the upper echelons of senior management. Most of these positions will require you to have a graduate degree, which will require you to spend an additional 1-3 years in school. If this is the career path that you plan to pursue, then you must be willing to put in a lot of hard work. Why Should You Go Through All of the Trouble? First and foremost, the median salary for hospitality managers is approximately $59,380.00, and the top 10% of hospitality managers earn an average of $82,510.00. However, many individuals in management positions can earn bonuses that are up to 25% of their annual salary, and their jobs are often accompanied by a wide variety of perks, such as free meals, free laundry, and steeply discounted/free laundry. Another benefit to working in the hospitality sector is the diverse range of available opportunities. The hospitality sector is global, which means that you can easily find a position in the United States or abroad. For example, if you work for a major hotel chain, you can request transfers to different locales worldwide every couple of years. There are few professions that offer these opportunities. Similarly, there are an endless number of career paths you can pursue within the hospitality sector. It is a common misconception that, if you earn a degree in hospitality management, you must work in a hotel. However, you can choose a career trajectory that aligns with your personal interests and passions. The available opportunities range from specializing in international logistics to working in human resources. Despite the amount of hard work that is involved, job security is another reason why an increasing number of individuals are beginning to enter the hospitality management tract. Between 2014 and 2024, the hospitality and tourism industry is expected to grow by 8%, which will open up approximately 13,700 new jobs, and there is a shortage of qualified individuals to fill these positions. Due to the global scale of this profession, a qualified professional will almost never find themselves out of a job. As aforementioned, earning a bachelor’s degree in hospitality management, or a closely related subject, is the first step in building a successful career. This is especially true if you begin to invest the time in networking and gaining experience early on. A bachelor’s degree in this subject will generally require you to complete between 120 and 150 credit hours of study – depending on the particular program you enter. On average, it will take 4 to 5 years to complete your bachelor’s degree, and the classes you take will include general education requirements, mathematics, and business. While earning your bachelor’s in hospitality management is the ideal starting point for a career in this profession, it is often difficult to achieve in terms of both money and time. The median tuition cost for earning a bachelor’s degree in hospitality management at a state university is $24,061.00. If you were to choose to attend a private college, then this average cost would increase to $47,831.00. While the sheer cost can seem overwhelming, don’t forget that you always have financial aid to fall back on if your scholarships and private funds cannot cover the balance. With more than 900 hospitality programs available in the United States alone, a prestigious institution with an accredited program can have a significant impact on your resume. When choosing a program to attend, don’t be afraid to consider the harder programs. These will often be the ones that teach you the most. Remember that the quality of the program you choose will make a difference in the types of opportunities you are afforded – ranging from the subjects you study to networking opportunities to, ultimately, who hires you. If you are applying for a bachelor’s degree program, you will be required to have your GED or high school diploma, and the more difficult the program you enter, the higher the minimum GPA requirements are. Certain ACT or GRE scores may also be required as proof of your proficiency in certain subjects, like English and math. Bachelor’s degrees in hospitality management are available in many forms, which include part time, full time, hybrid, online, and on campus. Keep in mind that the majority of employers tend to look more favorably on degrees earned through on-campus programs, and these programs will afford you more opportunities in terms of networking opportunities and hands-on experience. There are numerous excellent undergraduate hospitality management programs that will make your employment application stand apart from the crowd simply via its prestige. For example, Cornell University’s School of Hotel Administration has the number one ranked hospitality management program according to The Journal of Hospitality & Tourism Research. Their bachelor’s degree program covers all aspects of hospitality management, and students are required to work a minimum of 800 hours in a hospitality related field. The school offers numerous valuable internship opportunities. Students also have the opportunity to work abroad for a semester or two. Another example of a school with an internationally renowned hospitality program is the International School of Hospitality and Tourism Management at Fairleigh Dickinson University. The school has the nation’s oldest hospitality management program and has been ranked as one of the top 15 schools in the world by the Princeton Review. The school offers over 2,000 career track positions and internships, as well as a network of over 3,000 alumni who are involved in the hospitality and tourism sector. In general, a person who holds a hospitality management degree will earn between $35,000.00 and $70,000.00 at the start of their careers, depending on their geographic location, level of expertise, and chosen field. If you want to move up even higher in the ranks of management, then it’s time to start considering earning an advanced degree. In the bustling and fast-paced world of hospitality and tourism management, managers with advanced degrees are highly sought after. While they might not necessarily earn more than their bachelor degree holding counterparts at first, they tend to advance more quickly in their careers and are offered more opportunities for promotions. While these reasons certainly make having a master’s degree desirable, you must remember that pursuing a graduate degree will entail an additional 1 to 3 years of hard work and expense. The annual cost for a master’s degree, depending upon the specific program you choose, can range from between $30,000.00 to upwards of $120,000.00. Scholarships may or may not be available to assist you in offsetting this cost; however, they are not as readily available as they are for undergraduate degrees. 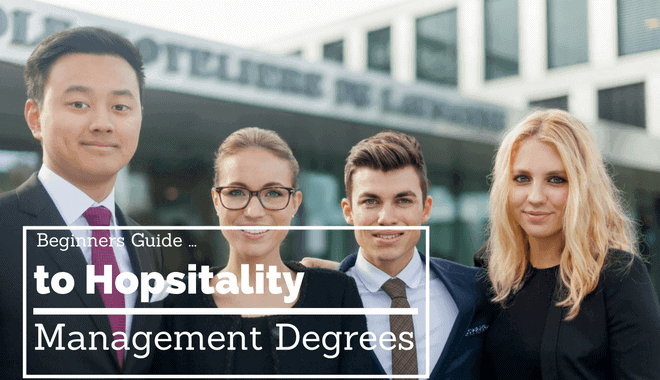 If you want to pursue a graduate degree, then you’ll need to earned your bachelor’s degree in hospitality management or a closely related field. Most masters’ programs will require you to have a minimum GPA of 3.0, but the minimum requirement could be higher. Most higher education programs will also require you to have a minimum GMAT or GRE score in order to be accepted. Ideally, you should look for a hospitality management master’s degree program that will allow you to specialize in a specific concentration. Just a few of the available master’s degree concentrations that are available include natural resource recreation and tourism, sport hospitality management, and entertainment business. Alternately, you could choose to pursue a master’s of business administration with a concentration in hospitality and tourism management. The advantage of this type of program is that it imbues you with a broader knowledge of management as a whole, in addition to accounting and business practices. The flexibility of an MBA can open up many different career paths for you. Just like undergraduate degrees, a master’s degree program can be completed online or on campus, in a hybrid format, or part time or full time. While the format you choose will depend on your personal needs and professional life, masters’ degrees that are earned on campus tend to afford the most opportunities for networking and, generally, have a better reputation amongst employers. For example, the University of Nevada at Las Vegas offers one of the best graduate programs in the country for students who want to earn a master’s degree in this profession. Here, students can choose to pursue an Executive Master of Hospitality Administration, a Master’s of Science in Hotel Administration, or a Master’s of Science in Management Information Systems. Because Las Vegas is one of the largest tourism hubs in the United States, opportunities for internships, hands-on experience, and employment abound. 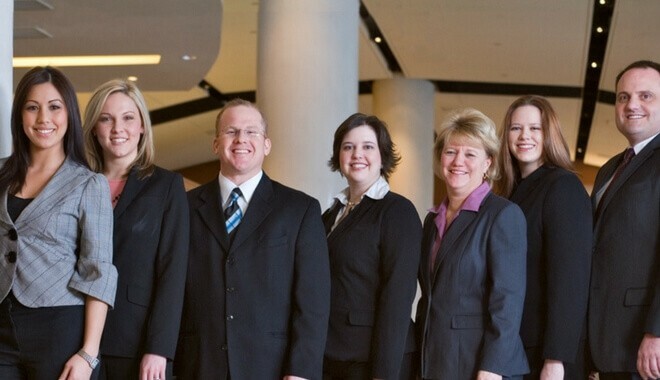 The highest degree you can complete in this profession is a Ph.D. in hospitality management. On average, a doctorate degree will take between four to seven years to complete. However, if the hospitality management industry is something that you truly love, then it won’t feel like work at all. Many individuals who pursue a Ph.D. in hospitality management choose to join the realm of academia. In fact, there has never been a better time to be a part of it. Because there is a shortage of qualified individuals to serve as faculty members, the starting salary for a professorship in hospitality management is expected to be over $70,000.00, and with experience, this number can easily climb to $100,000.00 or higher. If you prefer not to work in academia, then you can expect your Ph.D. to bring along a significantly higher salary as you move into senior management positions. Pursuing a Ph.D. is not a decision that should be taken lightly. It requires years of hard work and poses additional expenses; however, if you do decide to do it, it will offer many benefits. The average tuition cost, in the United States, to pursue a Ph.D. is $18,880.00, but there are numerous scholarships, fellowships, and paid internships that can be found to help offset this cost. Funding for doctoral studies is more readily available than it is for a master’s degree. If you wish to enroll in a Ph.D. program, then, at a minimum, you will be required to hold a bachelor’s degree. Some programs will also require you to have a master’s degree in your chosen field. Relevant work experience will also be taken into account. Your GRE or GMAT scores will also be an influential factor. As with most other types of post-graduate studies, Ph.Ds. may be pursued online, on campus, or in a hybrid format. The primary focus of your doctoral studies will be on an independent project, and there will be minimal courses for you to take, so in terms of delivery, doctoral programs offer much more flexibility. For example, The School of Hospitality Management at Pennsylvania State University offers one of the nation’s best, and most cost effective, Ph.D. programs for this profession. Here, students can earn a Ph.D. in Hospitality Management. Their program is rigorous, but it thoroughly prepares students for advanced research and academic positions at the college level. The popularity of online degree programs is rapidly growing. They are especially ideal for working professionals, career changers, and individuals who are unable to relocate to be closer to a university. The benefits of earning your degree online is that you are able to learn at your own pace and the flexibility it affords. How long it takes you to ultimately earn your degree will vary. The downside to earning an online degree is that most employers are naturally biased towards students who have earned a degree on campus – whether that bias is warranted or not. An online degree program will not afford you the same networking and recruiting opportunities that you would enjoy at a physical campus location. These are things that you must take into consideration when deciding which option is right for you. Moreover, if you do earn your hospitality management degree online, you will be missing the opportunity to garner invaluable hands-on experience. For example, Virginia Tech is home to one of the country’s most renowned hospitality management programs. On campus, students gain valuable experience by working in the college-owned, historic Roanoke Hotel, the Inn at Virginia Tech, and Virginia Tech Dining Services. However, if you earn your degree online, you would miss out on such opportunities. This is not to say that you should wholly shy away from online degree programs: it is just one more element you must consider when making the right decision for yourself. If you believe that long distance learning is the right choice for you, remember that it is of the utmost importance that you choose an accredited program and one that is offered by a not for profit school. Tuition fees for online programs vary widely from one to the next, but it is possible to find affordable online degrees that that begin as low as $7,500.00 per year. Now is an excellent time to become involved in hospitality management! The degrees discussed above will help you enter into one of the world’s most exciting and challenging professions. From 2014 to 2024, the hospitality management sector is expected to grow by 8%, which is slightly faster than the average projected growth rate for all industries. As of 2015, the U.S. Bureau of Labor Statistics listed the median annual salary of a hospitality manager at $49,720.00; however, because the hospitality industry is so diverse, these figures are affected by many factors. For example, event planning, which falls under the umbrella of hospitality management, is expected to grow by 33% in the next ten years. Salaries are often much higher, and these stats do not include the plentiful bonuses that most managers enjoy. In fact, your pay level can increase by as much as 100% as you gain more experience. Ultimately, your pay level will be affected by your geographic location, your credentials, specific position and field of work, and your experience. Another advantage that earning a degree in hospitality management has to offer is the diverse range of career paths you can choose from. With a degree in this field, you can work in the public or private sector, a small firm or a big corporation, the government or a non-profit organization. You can even choose to go into business for yourself. How Do You Get That Dream Hospitality Management Job? First and foremost, from the moment you first step foot onto your campus, concentrate on networking. Attend career fairs. Do job shadowing. Become a member of student organizations. Visit networking events. Make a concentrated effort to talk to recruiters as often as you can. Secondly, in addition to maintaining an excellent track record, you need to focus on gaining as much experience as possible. Participate in student competitions. Volunteer with programs that are relevant to your major, and of course, get involved in student organizations. Last, but not least, you must impress prospective employers by polishing your resume and honing your interview skills. Colleges frequently offer workshops and events that are designed to help you with employment related skills. Likewise, career fairs offer an ideal opportunity to begin developing professional contacts and are the best place to land a post-graduation job offer. Make sure that you’re prepared and make sure that your enthusiasm for the hospitality profession shines through. Having an academic degree from a prestigious college will do wonders in assisting you from standing out in a competitive job market, as well as earning an advanced degree or professional certifications. You will find that your efforts will pay off, and your job prospects will be significantly enhanced. Finally, remember that beginning a hospitality management program is the first step on the road to achieving your dream career. College offers your first contact with the world of hospitality management, and every decision you make here will have an impact on your future. Make the most of every opportunity, network, learn, and you will find the job you desire waiting for you at the end of the road.